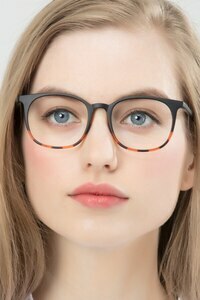 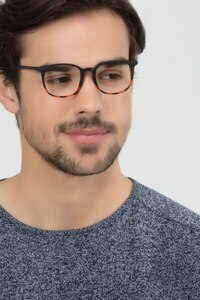 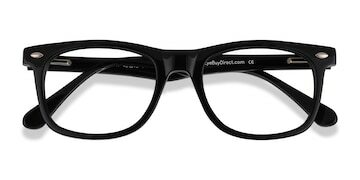 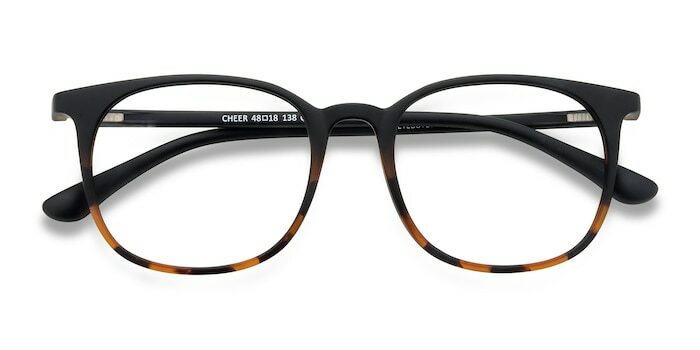 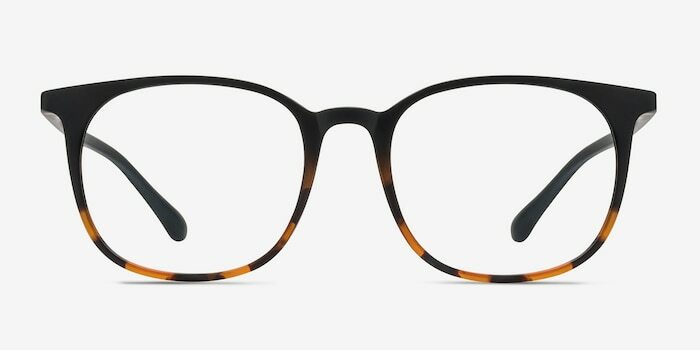 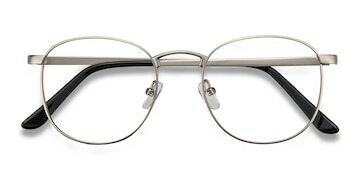 Cheer is a hip and stylish pair of eyeglasses. 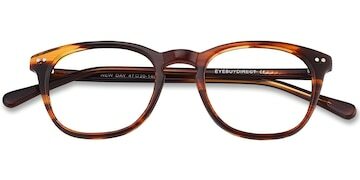 The squared full-rim shape suits the form of your face perfectly with a simple saddle nose bridge. 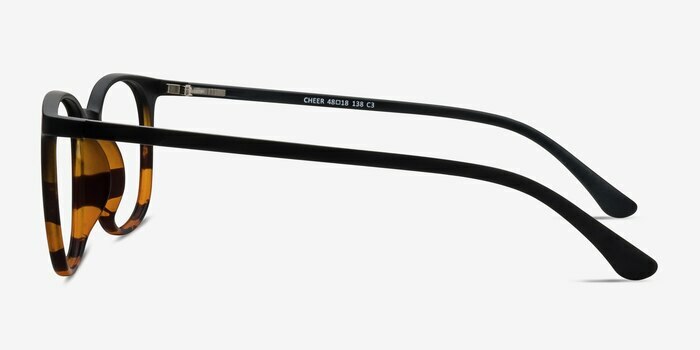 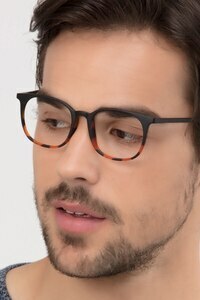 The streamlined temples are sophisticated with an elegant curve. 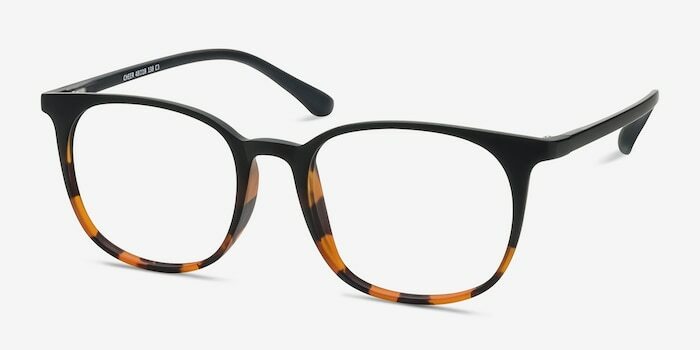 The frame is fashionable and features a unique color combination of black that turns into striped tortoise at the bottom, a true accent piece.